2013. 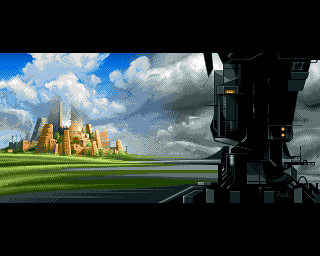 32 colours - 320x256 pixels - Amiga non-AGA lo-res. The balance between light and darkness. Used in the demo "15 Years of Fame".